In August 1861, Ranavalona I. died, and her then 32 years old son became the Merina king at last. During Ranavalonas I. reign, the Malagasy people was reduced from approximately five millions to less than the half. Lambert returned to Madagascar again to claim the rights he had gained by the Lambert charter. The king bestowed him those as promised, which led to widespread dissatisfaction at the court against Radama II. Many Merina did not want to relinquish Malagasy land to a foreigner, even less without a time limit. However, Lambert undisturbedly founded his Compagnie de Madagascar financière, industrielle et commerciale and received the title “Duke of the Merina people”. King Radama II. built up the trade with Mauritius and Réunion and renewed the reformations which had already begun under Andrianampoinimerina. He established a government following the British example and prohibited draconian punishments such as the judgement by God. 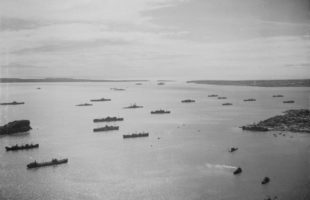 Missionaries, with the London Missionary Society leading the way, swarmed into the country again. Pigs were allowed to be kept at the royal hill again, and the Sampy, responsible for the banishment of the unclean animals, were distributed among the twelve sacred hills of Imerina. Political prisoners were released. Finally, king Radama II. wanted to legalize duels to clarify conflicts as it was custom in Europe in these times. The nobles, who were somewhat indulged by his mother, disagreed with Radama’s uncompromising conducts. Thus some nobles staged a coup under leadership of prime minister Rainivoninahitriniony. In the course of this, king Radama II. and most of his minions were murdered in May 1863, after not more than two years as king. Radamas II. widow Rasoaherina, who was formerly called Rabodo and was his cousin, too, was forced to marry the former premier minister. Her education was mainly influenced by the London Missionary Society. The continuation of her regency was conditioned: Any affairs concerning the kingdom should be done in reconciliation with the Hova (free citizens) class in the future, led by the prime minister of course. 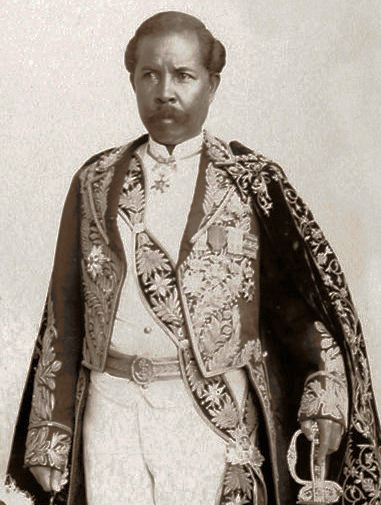 The public was informed that king Radama II. had commited suicide. There were rumours that Radama did not die during his strangulation hidden by a scarf, but in contrast lived up until old age at lake Kinkony in Northwestern Madagascar. Those rumours have never been proven. The Merina people was not allowed to mourn king Radama’s II. death. On 30th june 1865, the British and queen Rasoaherina signed the treaty of Antananarivo, a peace and commercial contract. With this treaty, slavery in Madagascar was finally abolished. 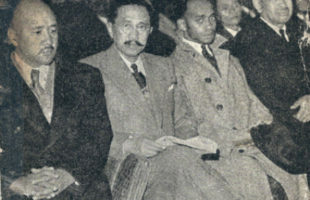 Other contracts with the USA followed two years later, and Malagasy ambassadors were sent to London and Paris. The Lambert charter was declared invalid, which led to considerable conflicts between the Compagnie de Madagascar (and thus France) and the Merina people. Rainivoninahitriniony, who was instrumental in murdering king Radama II., became addicted to alcohol and acted violently frequently. After he had threatened the queen several times with knives, she removed him as prime minister, and he was banished to the kingdom of Betsileo. As political consquence, queen Rasoaherina married his brother Rainilaiarivony, who promptly became prime minister, too. 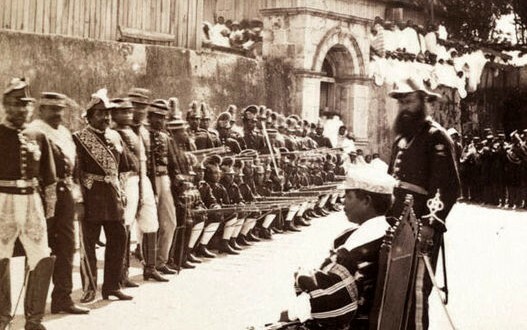 In 1868, a coup attempt to the Rova happened, led by the actually banished former prime minister Rainivoninahitriniony. He had planned to take his old post instead of his brother and withal put prince Rasata to the throne. But some guards of the Rova could escape and alerted Rainilaiarivony, who abided in Ambohimanga with the queen. The latter was terminally ill with dysentery at this time. 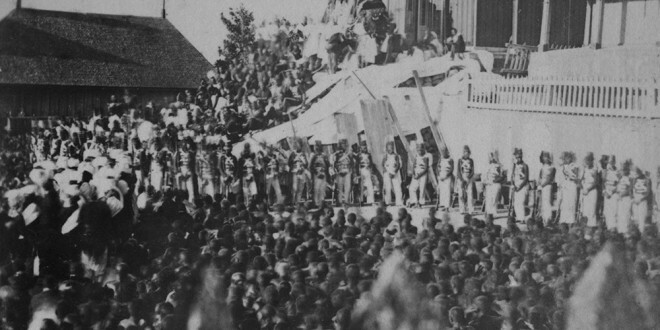 At the behest of Rainilaiarivony, the coup was defeated, and queen Rasoaherina was carried through Antananarivo in triumph. During a Kabary, she requested the people to deliever more traitors. 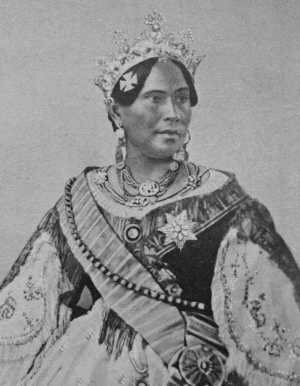 Queen Rasoaherina died on 1st april 1868, four days after her last public speech. Her cousin Ramako, who followed Rasoaherina’s wish and administered to her children, called herself Ranavalona II. and became new queen of the Merina people. She had already been a wife of king Radama II., and of course she also married prime minister Rainilaiarivony. 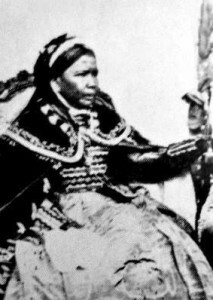 In 1869, queen Ranavalona II was baptized. Like her precursors, she was educated and strongly influenced by the London Missionary Society, which was reflected in a close political proximity to Great Britain. The Sampy, which were collected by Ranavalona I. and later on distributed to the sacred hills of the Merina people again, were publicly burned. Anglicanism was introduced als offical religion. Schools under the direction of missionaries were built to grant education to the Malagasy people – or at least the higher classed citizens. Fueled by Ranavalona’s II. 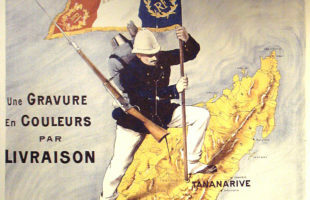 affection for the British, the contacts to France began to head towards a crisis. On 13th june 1883, Ranavalona II. died during the beginning of the Franco-Hova wars. 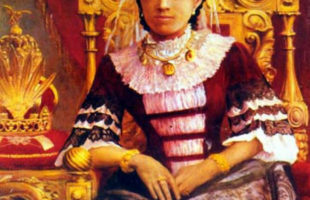 On 22th november 1883, Ranavalona III. was crowned as queen of the Merina people – and she also became the wife of still enthroned prime minister Rainilaiarivony.